These days, it might seem like dental offices are everywhere, so it might be easy for you to find one just a few minutes’ drive from your home. However, it’s always wise to think about more than location when you’re choosing someone to look after something as important as your oral health. That’s why we encourage folks from Prestonsburg and the surrounding areas — including Paintsville — to consider choosing Brookside Dental Care. In about 25 minutes, you can drive to a dental team who truly has your best interests at heart. 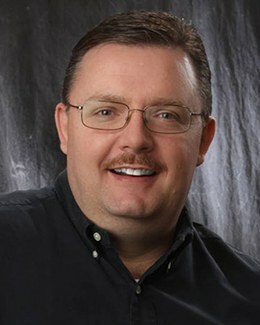 Dr. Bryan Griffith is the leader of our team at Brookside Dental Care. He is a Kentucky native who has been serving patients for over 25 years. He has a passion for both the art and science of dentistry, which is why he pays such close attention to every detail of a treatment, whether he is performing a complete smile makeover, complex restorative work, or routine preventive procedures. He uses state of the art technology in his office to make sure patients receive the best care that modern dentistry has to offer. Of course, as much as Dr. Griffith enjoys caring for his patients’ smiles, he places an equally great emphasis on helping his patients feel comfortable. He is one of the few dentists in the state who is qualified to offer oral conscious sedation. Professional cleanings, exams, and X-rays – Visit us every six months to keep your smile healthy and sound. Dental implants – Dr. Griffith is qualified to both place and restore dental implants. 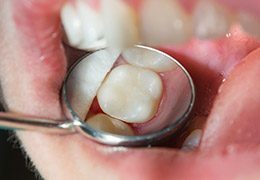 Sedation dentistry – Let us help you conquer your dental anxiety and remain comfortable throughout your treatment. Cosmetic services – Veneers, professional whitening, and direct bonding are just a few of the cosmetic services we offer. Periodontal therapy – We offer both non-surgical and laser treatments to address varying stages of gum disease. Emergency care – We can usually see emergency patients on a same-day basis. Travel south on US-23 through Prestonsburg, and continue on US-23 toward Pikeville. When you arrive, expect a warm welcome and a comfortable treatment experience that will, we hope, make you a lifelong member of our family of satisfied patients.